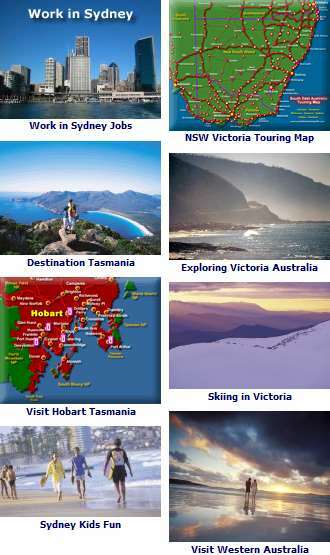 Melbourne Attractions Map or the Map of Victoria Australia. Located in Melbourne’s Chinatown, the Chinese Museum has artefacts and exhibitions related to Australia’s history and the story of Chinese immigrants to this country. With the finest garden found in Melbourne and built in 1847, Como Historic House represents the finest of 19th Century grace in architecture. Note - Access to the house is by guided tour only. Phone +061 3 9827 2500 for further information. Only a short walk from South Yarra Station. More than 9 million people have migrated to Australia since 1788, and why. Home of Victoria’s first governor, Charles Joseph La Trobe, and his family. He was responsible for establishing Melbourne’s library, university, museum, hospital and extensive parklands. Home to the Polly Woodside, a barque built in 1885. Phone +061 3 9656 9800 to find out when you can visit this ship. From natural history and science to Australia’s people and culture. Exhibits include Phar Lap, a living rainforest, and much more. The National Gallery of Victoria was the first national gallery in Australia - first opened its doors in 1861 and has the widest range of Australian art in the country. There are two locations - 180 St Kilda Road and Federation Square on the Yarra River. The Australian art is exhibited at the Federation Square location with international art on exhibit at 180 St Kilda Road. Phone +061 3 8620 2222 for more information. The oldest prison in Victoria. Ned Kelly and the infamous gangster Squizzy Taylor were guests here, amongst many others. Experience the road to the gallows and gain a fascinating insight into what life was like in an 19th Century Prison. Phone +061 3 8663 7228 for further information. Built in 1868, Rippon Lea Mansion is a large 19th century estate surrounded by beautiful gardens. You can visit this place and the gardens, now administered by the National Trust. Phone +061 3 9523 6095. Located some 7kms from Melbourne?s CBD on Port Phillip Bay. Push it, pull it, spin it, bang it. Through hands-on exhibits, live demonstrations, tours, activities and shows, you"ll find science has never been quite this much fun. 1850s goldfields township where real gold flows in the creek and history comes alive! Hands on Gold Panning and in the evening there is a multi-million dollar sound- and-light show, Blood on the Southern Cross, the dramatic story of the 1854 Eureka Uprising. Take time to see the Gold Museum as well. Ballarat is a comfortable 90 minute drive from Melbourne, then just follow the signs. Rail and bus tours available from Melbourne. Open 10am to 5pm every day except Christmas Day. 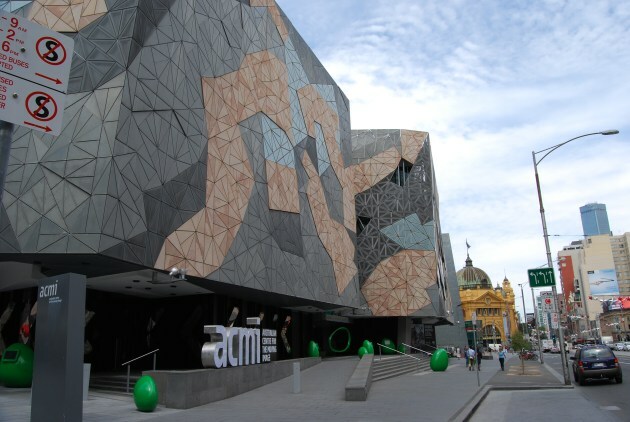 The Arts Centre is the flagship of the performing arts in Victoria and the focal point of Melbourne’s cultural precinct. The Arts Centre also has an important collection of Australian art, including paintings, sculptures, textiles, drawings and prints. Melbourne City Map - Places To Visit - Melbourne Attractions Map. Find Hotels in Victoria Australia Victoria.